Irania Patterson is a dynamic and versatile performer, children’s author and educator who like to work with audiences of all ages. Her bilingual children’s picture book Chipi Chipis, Small Shells of the Sea/Chipi Chipi Caracolitos del Mar (CPCC Press 2006) was an International Reading Association Children’s Choice Award for 2006. 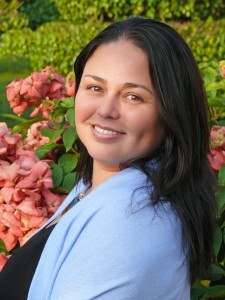 She is the author of Wings and Dreams: The Legend of Angel Falls. (Novello Press 2010). She is also co-author of several books for librarians across the US. For the past 15 years she has worked as a multicultural children specialist and consultant in the area of literature and the performing arts. She has worked with library and educational systems offering school-based artist residencies, performances, workshops, development of curriculum and professional development in the state of NC. Irania holds a Masters degree in Children Literature from La Universidad Autónoma de Barcelona, Spain. She also obtained a teaching license (k-12) at UNCC. In 1992, she graduated with a BS degree from the Andres Bellos Catholic University in Mass Communications and a Minor in Audiovisuals. She is originally from Venezuela and she is the mother of two bilingual children: Samuel and Isabella. They are her inspiration to make the world a better place. As a singer-songwriter and multicultural audience development expert, Ana Lucia Divins is passionate about inspiring a greater awareness of the richness of the Latino culture, music and art. She is a multi-talented professional with over ten years of experience in the field. Most recently, Ana Lucia Divins served as the Latino Community Education Liaison for the Mint Museum and currently, in addition to her music endeavors, she also works as a multicultural marketing consultant. She has provided leadership to several artistic initiatives. She also has extensive corporate experience in project management, communications, marketing, and business initiatives with Bank of America and Wachovia (now Wells Fargo). Music has always been part of her life: From winning remarkable music contests in her native country to being recognized as a featured artist in several cultural events in the United States. Ana Lucia is an active member of the artistic community in North Carolina, not only as a renowned performing artist but she also shares her professional expertise serving on the Board of Directors of several art organizations. She holds a BS in Industrial Engineering of the Pontificia Universidad Javeriana of Cali Colombia. Ana Lucia was selected for the statewide Diversity and Inclusion initiative William C. Friday Fellowship for Human Relations (part of the Wildacres Leadership Initiative) in 2008. Originally from Colombia, Ana Lucia moved to Charlotte, NC in 2000, where she met her husband Brad and together they’ve started their bicultural family with two children, Nicholas and Natalie Sofia.